Aizawl is the capital of Mizoram, one of the eight states of North-east India. Aizawl is a beautiful city spread over steep ridges, hills and valleys. The century-year-old capital city is situated 1132 m above sea level and is flanked by the majestic peaks of Durtlang on the north. Adding to the beauty of Aizawl is the Tlawng river that flows past the city. Aizawl is a fast-growing city, and multi-storeyed buildings have dotted it. Since it is the fastest growing city in the state of Mizoram, infrastructural expansion is the need of the day. 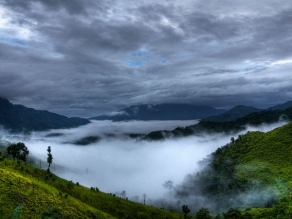 Mizoram literally means the land of the Mizos, while Mizos means highlanders. One of the smallest states in the country, Mizoram shares international boundaries with Myanmar and Bangladesh while it shares inter-state boundaries with Assam, Tripura and Manipur. It was made a state in the year 1987 before which it was a Union Territory of India. The Mizos are believed to have Mongolian origin and have been residing in these hills for centuries. Traditionally, Mizos have lived in an agricultural society and hence most of their cultural practices revolve around harvesting and other agricultural practices. For centuries, the Mizos practiced Jhum cultivation, a kind of slash-and-burn agriculture. Mim Kut and Pawl Kut are the two main harvest festivals of the Mizos, and they are celebrated in the months of August-September and December-January, respectively. Mizos are especially famous for the Cheraw dance (a rhythmic dance form using bamboo staves). These cultural aspects make Aizawl tourism interesting for a discerning traveller. The citadel-like city Aizawl has several tourist places. While Aizawl tourism might still be in its nascent stage, there are several ready-to-be explored destinations in the vicinity that are both enthralling and jaw-dropping. A visit to Aizawl is incomplete without a visit to the lush Tlawng river that cascades down the valley to the west of the city. While the Tlawng river binds the city on the west, the Turial River Valley poses an equally imposing picture on the east. The Tamdil Lake offers boat rides and is one of the star attractions not far from the city. If you enjoy fishing, Chhimtuipui river in Saiha is the perfect place for you. 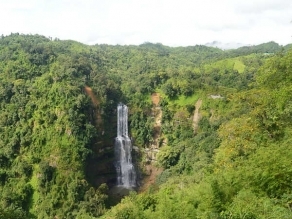 Aizawl tourism will be quite incomplete without a visit to the highest waterfall of Mizoram Vantawang which falls from a height of 750 ft. The highest peak in Mizoram is the Phawngpui peak, and this is especially famous for orchids, rhododendrons, mountain goats and butterflies. Aizawl serves not just as the state capital but also as the cultural centre of the state. The Mizoram State Museum, Solomon Temple and the twin lake of Aizawl - Rungdil Lake are some of the places tourists can visit and which make Aizawl tourism interesting. 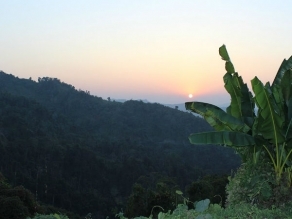 A popular destination close to Aizawl is Reiek, a small cultural village close to the state capital. Tourists will find distinctive Mizo huts displayed in the village while natural forests, rocky cliffs adorn the edges of the village. Aizawl is air linked to Kolkata and Guwahati by daily flights which subsequently connect to the rest of the country. The nearest railhead is in Silchar (about 184 km from the city) while National Highway 54 connects the state capital to the rest of the country. Aizawl sees a temperate and mild climate with comfortable summers and winters. The average temperature ranges between 20 degrees and 29 degrees Celsius during the summers while it comes down to 7 degrees Celsius during the winters. Aizawl gets an annual rainfall of 254 cm every year. National Highway 54 is the main connect between Aizawl and other parts of the country. The NH passes via Silchar and connects Aizawl to Shillong and subsequently Guwahati. There are regular state-run bus services from Shillong as well as Silchar. Additionally there are several private bus services and Tata Sumos available on the route. The nearest railhead to Aizawl is Silchar (in South Assam) which is 180 kilometres from the capital city. From Silchar, there are trains to Guwahati via Lumding. The road connectivity between Silchar and Aizawl is very good with regular bus transport available. Tourists can also book private tourist vehicles. The Lengpui Airport is Aizawl’s own domestic airport that has daily flights to Guwahati and Kolkata. Apart from Indian Airlines (Alliance Air), several private players also have regular service from Aizawl to Guwahati and other destinations. Located about 35 kilometres from the city centre, the Lengpui Airport is well connected to the city by regular transports. Why Serchhip In Mizoram Makes For An Idyllic Vacation!